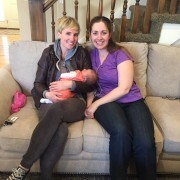 Very often, when we tell people what we do, their first question is, “What is a doula? Is that like a midwife?” What we usually end up telling them is that we are professional labor coaches, but we don’t deliver babies. As your doulas, we are here to support you and help you achieve a satisfying and fulfilling birth. We help your become educated about your birth options so that you can making choices that feel right to you. When it comes time for your birth, we work to facilitate your natural rhythm and to provide the emotional and physical support that will allow you to feel safe as you go through your birthing experience. As your doulas, we do not provide any medical care. Things like checking heart tones, dilation, delivering the baby, and placing sutures are all things that your midwife or doctor will manage. We provide the physical and emotional support to round out the equation. Massage, counter pressure, relaxation techniques, deep breathing guidance, and a thorough understanding of the birth process are just some of the tools we bring to a birth. Whether you plan to birth at home, at a birth center, or in a hospital–with pain medication or without–you can count on us to help guide you every step, and contraction, of the way. The continuous support you will receive will go a long way toward lowering your anxiety levels, helping you manage any pain, and increasing your chances for a safe and healthy birthing experience. A doula is a professional labor support person who assists the expectant mother and her partner to prepare for birth. 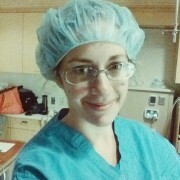 She offers education as well as physical comfort and emotional support during labor and birth. A doula helps a mother and her partner know what to expect and to be aware of the many choices and options available to them. She builds a relationship of trust then acts as a continuous support person who can guide the parents throughout the birth process and beyond. 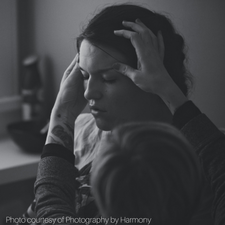 A doula helps a woman to achieve a positive, even empowering, birth experience. She offers support and guidance to the woman’s partner as well—allowing him to be as involved as he is comfortable being. She can be a positive presence in a hospital setting and assist the mother to have the advocacy she may desire. 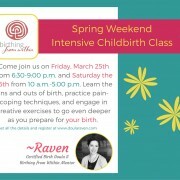 Besides marrying my husband (and having a child), hiring Raven to be our doula was the best decision I ever made! "At one point I became extra stressed out about the way my labor was going. Raven was right there with me, offering affirmations and positive support even in the most difficult parts of the labor. She had this peaceful presence that made everything feel a little better. There are absolutely no words to describe how amazing it was to have her with us during this time. However, I can say this: Besides marrying my husband (and having a child), hiring Raven to be our doula was the best decision I ever made!"